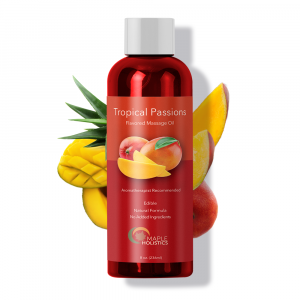 Olay is known for a few different things in the personal care products community. 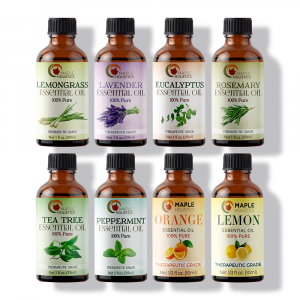 For starters, the company has established a rock-solid reputation as a developer of quality skin care products. This means that they’re a step above many of the other big-name brands in the market who insist on pushing mass produced treatments of an inferior stock onto their consumers. Unfortunately, these kinds of practices are all too commonplace in the beauty industry: big-name brands filling their products with artificial ingredients, preservatives, and fillers in the name of saving a buck, all at the expense of the consumer. Facial Cleansers: Cleansing Brushes, Cream Cleansers, Exfoliating Scrubs & Cleansers, Facial Wipes & Towelettes, Facial Toners, Foaming Cleansers, Makeup Removing Cloths, Microdermabrasion Brushes. Facial Moisturizers: BB & CC Creams, Daily Moisturizers, Lightweight Lotions, Night Creams, Serums, SPF Protection Moisturizers. Facial & Eye Treatments: Eye Treatments, Facial Hair Removal, Facial Oils, Masks, Microdermabrasion, Pore Treatments, Acne Treatments, Skin Tone Treatments. 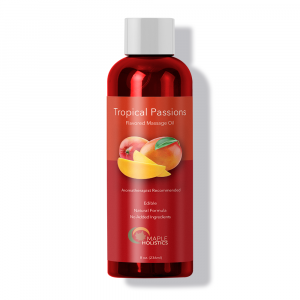 Body Care: Beauty Bars, Body Lotions, Body Washes, In-Shower Body Lotions. This is not to mention the number of different products in development at Olay, which provides seasonal catalogue updates and releases for its consumers. With a relentless research and development team that works seemingly around-the-clock in order to provide the most advanced skin care possible, there’s no telling what the company might come up with next. For now, however, we’ve compiled a list of our favorite Olay skin care products 2018! Be aware, however, that this list could be time-sensitive: you never know what Olay might come up with next! 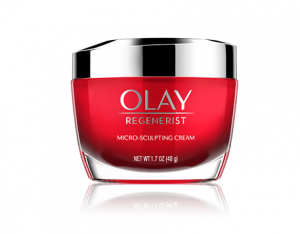 With enough strength in the formula that Olay boasts it can delay the need for a cosmetic procedure, you’d be hard pressed to find a more effective sculpting cream than Olay Regenerist. Intended to visibly reduce the appearance of wrinkles, Olay Regenerist Micro-Sculpting Cream Face Moisturizer (yes, the name is a bit of a mouthful) uses hyaluronic acid, amino-peptides, and vitamin-B3 to hydrate, lift, and firm skin. Use of the cream has immediate tangible benefits, but you’ll really start to take advantage of its effectiveness when using it over time – try a daily regimen for a few weeks and you’ll really start to see those wrinkles fade. It should be noted, however, that you don’t need to be suffering from aging effects in order to enjoy the effects of Olay Regenerist. Personally, I suffer from dry skin as much as I do from wrinkles or aging spots, and Olay Regenerist has been a miracle worker in that regard – my skin has never felt more consistently moisturized! Total effects 7 in one. 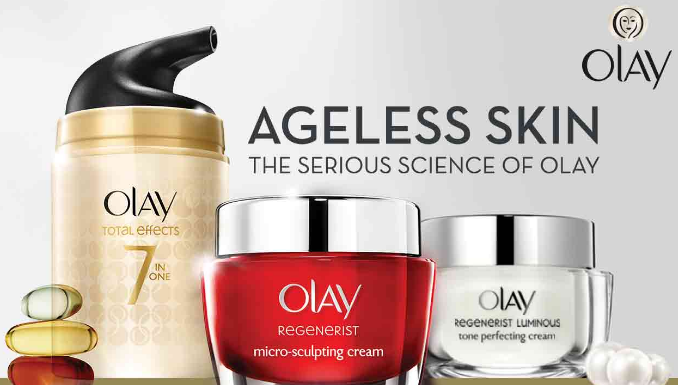 If you thought Olay Regenerist was something in terms of reducing the appearance of aging and moisturizing skin, you ain’t seen nothing yet! 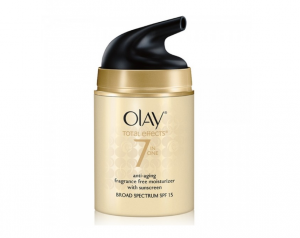 Olay’s ‘Total Effects 7’ branding boasts products with the ability to diminish the effects of the 7 age-related skin issues that Olay has identified. These benefits are: to reduce the appearance of age spots, provide nourishing moisturization to the skin, reduce the appearance of facial lines and wrinkles, balance and even skin tone, balance and even skin texture, provide a healthy looking glow to skin, and to reduce the appearance and size of pores. I haven’t given Total Effects 7 In One Anti Aging Moisturizer an extended look (I used the moisturizer daily over the course of one week), so can’t speak to its benefits with long term use, but I definitely experienced firming of my skin after a few days of use. The SPF 15 inclusion is a nice bonus – the moisturizer did give me protection from the sun, which is not something you’d expect from an anti-aging product intended for reducing wrinkles and pore size! It did so without turning me orange, to boot, which is always nice from a sun protector! Regenerist luminous tone perfecting treatment. Skin problems are many and varied, and although the prior two products are best for wrinkles, it’s time to tackle another skin-related sign of aging. For those who most primarily struggle with skin tone and dark spots, Regenerist Luminous Tone Perfecting Treatment is, well, perfect. I’ve struggled with dark spots for my entire life, and I have had some stubborn ones that didn’t fade or diminish over the course of dozens of different treatments ranging from over-the-counter, to prescription, to procedural. 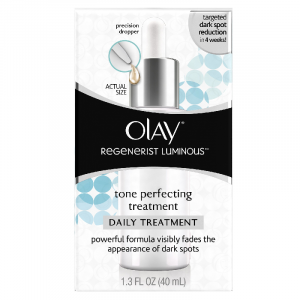 This tonal treatment from Olay did what all of those others could not; it successfully faded some of the most stubborn dark spots anyone could ever encounter! Yes, I did keep up with a daily regimen of treatments for some time, and though the dark spots did not entirely clear, the results were more than I ever could have realistically hoped for. Simply put, I could not recommend this treatment enough – although please stick with a consistent regimen and give it a real chance if you want real results! Stubborn spots are not going to be eliminated in a single day with any one treatment. Are bath and body products Olay’s “specialty” ? No, not necessarily. However, therein lies one of the many not-so-secret elements of Olay’s success – when Olay develops a product, they make sure they do it properly. Most people who think of Olay think of facial skin treatments or out-of-the-shower applications, but it’s time for people to become familiar with Olay body washes, and in particular, their Ultra Moisture Moisturizing Body Wash with Shea Butter. 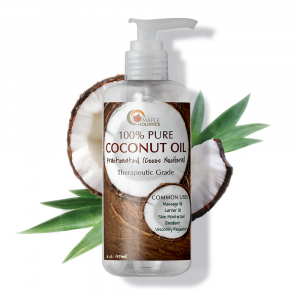 While my facial skin problems are generally related to aging, or perhaps acne, the skin on my body at large most primarily suffers from a lack of moisture and nourishment. Boy, did Olay’s shea butter-containing body washes turn things around for me! After showering in the morning and using this body wash, I could tell a difference in the feel of my skin on day one! It’s hard to describe exactly, but I felt softer and more relaxed with my skin than I could ever remember feeling, and the moisturizing effect lasted all day long – an equally impressive feat! It goes without saying that Olay became my go-to body wash rather quickly. ProX microdermabrasion plus advanced cleansing system. 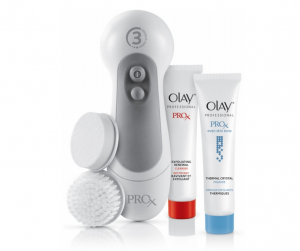 Pro X and Microdermabrasion are two terms you’ll see fairly often when browsing Olay’s website or product line, and they may serve to confuse or turn off consumers who find them intimidating. Don’t worry! Olay’s Pro X series is simply dermatologist designed, and consists of treatments that are powerful enough to stand a step above creams, oils, and other Olay formulas. Microdermabrasion, on the other hand, involves non-invasive spraying of micro-crystals to remove the top layer of dry, dead skin in order to reveal the healthier, more youthful looking skin layer underneath. Together, the two from an effective cleansing system in the ProX Microdermabrasion Plus Advanced. Included is a battery-operated polisher, as well as a renewal cleanser for application before cleaning. Together, the application of the cleanser and the microdermabrasion combine to form a treatment that is effective in eliminating dead, dry skin and nourishing the healthy skin underneath. 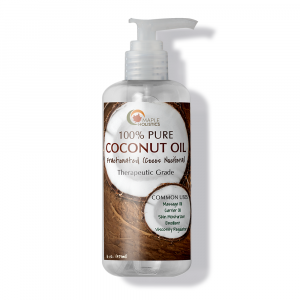 Give this a try and you’re sure to find results, regardless of how stubborn your skin problems seem to be! Pro x advanced cleansing system with facial brush. 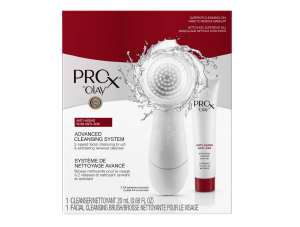 Like the Pro X Dermabrasion kit, the Olay Pro X Advanced Cleansing System with Facial Brush isn’t just a treatment or a topical application – it’s a full-on, skin-changing system! Again like the microdermabrasion kit, the Olay cleansing system included a tool – in this instance, a cleansing brush – in order to get the job done. Unlike the microdermabrasion kit, however, the main goal behind the advanced cleansing system is not to scrub away the top layer of dead, dull skin, but rather to cleanse the skin. Using the Pro X Exfoliating Renewal Cleanser included in combination with the effective cleansing brush makes for a thorough and effective cleansing experience. The bottom line is, if you’re looking for cleaner skin, the advanced cleansing system will do the job for you! 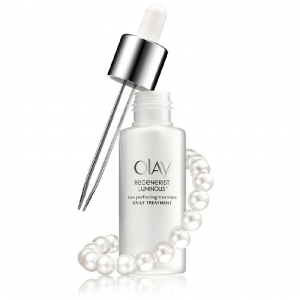 Regenerist eye lifting eye serum. Ready for yet another one of Olay’s “specialty” items? When it comes to skin specialization, no one has Olay topped. 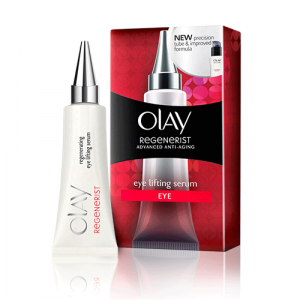 Eyes are yet another area in which Olay’s skin game is on point, as is apparent in the case of their Regenerist Eye Lifting Serum. Using a hydrating formula with amino-peptide and vitamin complex exfoliates, the eye lifting serum promotes skin surface turnover and works at the surface cellular skin cell level to visibly improve the appearance of the eyes. Olay boasts that eye lines and wrinkles can be diminished in just two weeks, and I can back up this claim: although I haven’t used the product, I did purchase it as a gift for my mother, who has used to it astonishing results! Her eyes seem brighter, smoother, and more vibrant than I can remember seeing them in years, and this was achieved after using less than a full tube of the 0.5 oz Olay serum. 4-in-1 daily facial deep clean cloths. Cleaning facial cloths are a staple in the kit of any self-respecting skin care aficionado. It seems like virtually every beauty care company produces them, in addition to the abundance of generic brand cleaning cloths available from pharmacy and department stores. I can safely say, without a shadow of a doubt, that my personal favorite cleaning cloths come from Olay – in particular their 4-in-1 Daily Facial Deep Clean Cloths. 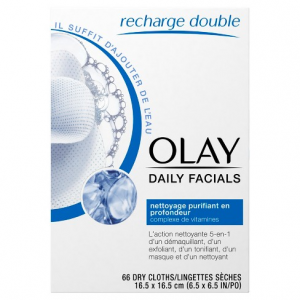 I should clarify that I use a different sort cleaning cloths from Olay for makeup removal, while I use the 4-in-1 for the recommended daily cleaning. Before discovering these, I used a cleaning scrub produced by another company, and these cloths do a better job of cleaning my skin with much less hassle – no rinsing or lathering needed! Fresh effects clear skin acne hater deep scrub. We’ve come all this way and we haven’t even discussed any of Olay’s excellent line of acne-related products – astonishing! Well, it must be noted that Olay’s acne line is just as excellent and effective as any of their anti-aging, cleansing, or moisturizing products, if not more so! 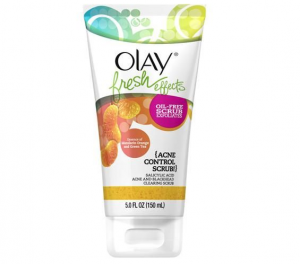 Olay Fresh Effects products like their Clear Skin Acne Hater Deep Scrub or Clear Skin 1-2-3 Acne Solution System are designed to not only eliminate existing acne, but to restore the skin underneath in a way that reduces the chance for acne rearing its ugly head once again. The solution system comes with the Acne Hater Deep Scrub (step 1), Spot Zinger! (step 2), and Swirled Mattifier (step 3) to provide with a full 3-step skin program to target the most unfortunate acne victims. The Acne Hater Deep Scrub is sold on its own as well, for the sake of providing a general acne scrub for those who are looking for general maintenance and repairs – nothing too extreme! Thanks for reading our new feature – check back for more on great brands like Covergirl, Olay or Urban Decay, right here at Maple Holistics! That does it for our top-10 list! It needs to be said again, however – Olay’s entire product line and catalogue are huge! Although we’re glad to have highlighted these ten different products for our consumers, this is just the tip of the iceberg when it comes to Olay skin care. Your best bet for finding the Olay skin care products that work for you is identifying your needs, and searching through Olay’s products accordingly – they’re sure to have something for everyone!